The logo for the Institute for Computational & Mathematical Engineering at Stanford intertwines the three departments—engineering (orange), mathematics (blue) and computer science (yellow). 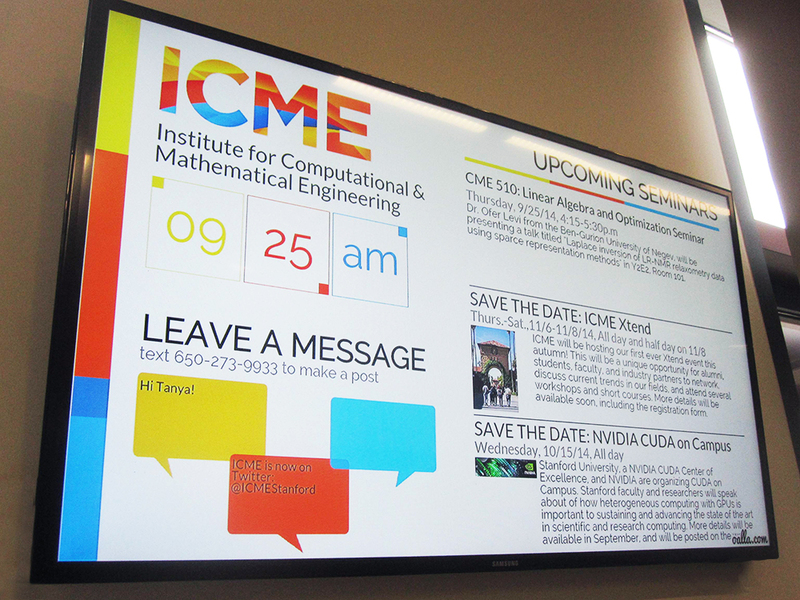 Computational mathematics is at the heart of many engineering and science disciplines and has grown into a very strong and exciting interdisciplinary field of research and study. 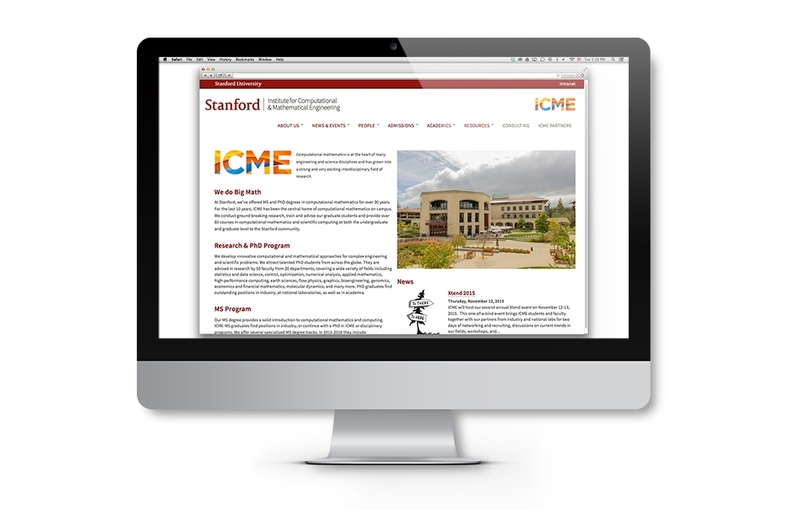 The logo creates interest and sets the tone for the department and its recruitment efforts at Stanford University and has become the foundation for marketing and event materials. Program identity for JOLTS, “just-in-time online learning tools” modules that are part of Stanford University’s Institute for Computational & Mathematical Engineering (ICME) program. Margot Gerritsen is a professor of energy resources engineering and the Director of the Institute for Computational and Mathematical Engineering at Stanford University. In 2014, Alternatives worked with Margot to create an explanatory animation to accompany her TEDxStanford talk on the abstraction of mathematics.